We all go on holiday for a break. It may be to escape the rat-run, broaden our horizons or try new things. Top of the wish list when you are on a family get-away is spending quality time with your loved ones. However, the irony is that many parents fear they won’t be able to do that because they’re breaking from their kids’ routine. That’s why finding the perfect family hotel makes such a difference to the success of your holiday. I’m very excited to have been asked to join the Parent Friendly Stays #parentpanel and will be showcasing some if the fantastic holiday venues featured on the website, including family hotels. So, makes the perfect family hotel? In my opinion there’s a few things that a hotel needs to offer in order to claim family-friendly status. 1. Activities for all seasons – there’s got to be lots to do for families on-site whatever the weather. There’s nothing more likely to stress out parents than trying to entertain children in the confines of a hotel room when it’s tipping it down outside. A swimming pool is a must for a family hotel, as well as mum and dad friendly facilities like a spa, hot tub or gym so they can run a childcare relay to give each other a break. 2. Lots to do in the area – once you’ve arrived at your holiday destination the last thing you want to do is to get back in the car to travel for hours in search of things to do. Having beaches, attractions and activities close by is a must. Who could deny these puppy dog eyes a holiday? 3. Pet-friendly – Tin Box Dog is part of our family and going away without her wouldn’t feel right. That’s not to mention the cost of kennels can be just as expensive as a holiday! Hotels that can offer garden rooms where dogs can be walked straight out in to the hotel grounds are fantastic. There’s also got to be lots of walks close by. TBD loves a dip in the sea or a lake, as well as walks up mountains. 4. 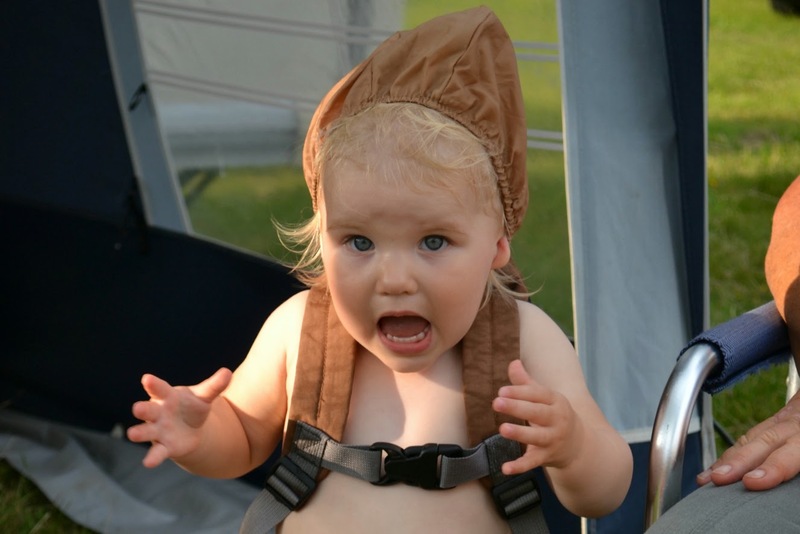 Family service – when you’re staying at a hotel rather than a resort it can be a worry that when your kids start playing up at the dinner table you’ll get stern looks from the staff. The perfect family hotel understands families aren’t, er, perfect. It makes them feel welcome whatever side of the bed the little people (and, let’s face it, mum and dad) got out of that morning. 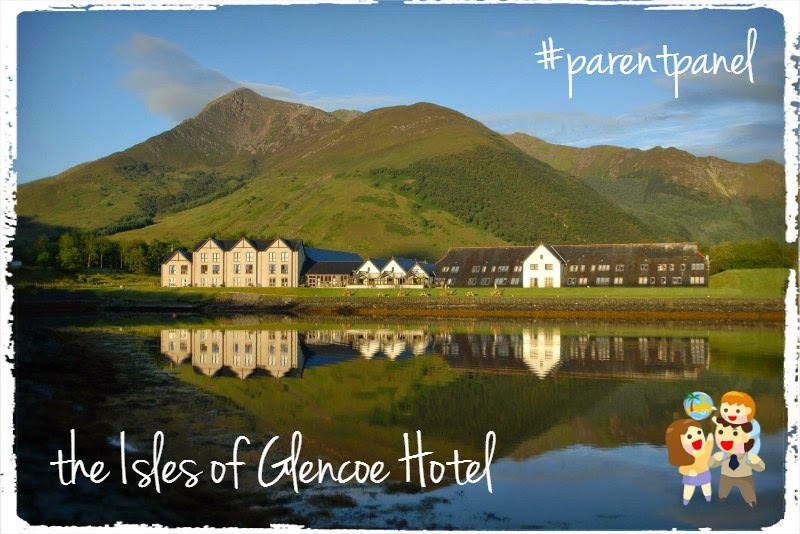 Could the Isles of Glencoe in Scotland be the perfect family hotel? 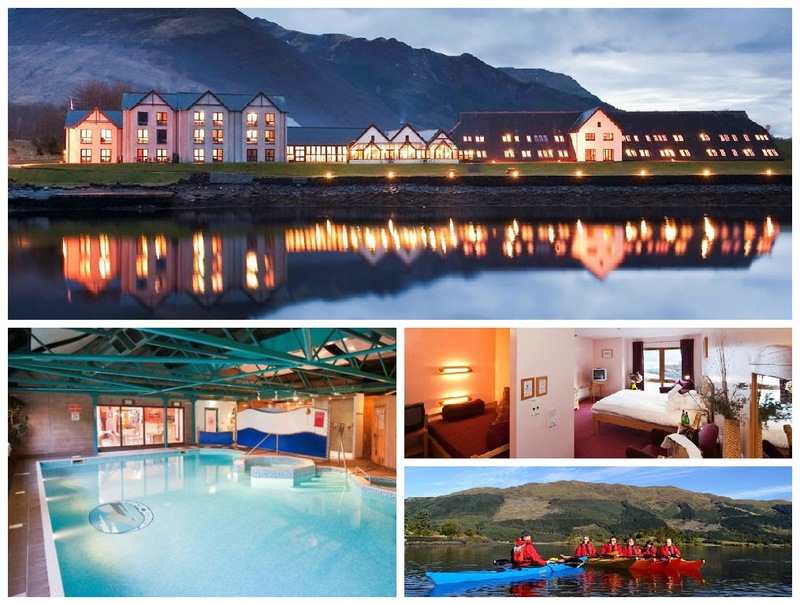 The Isles of Glencoe in Scotland is one of dozens of hotels listed by Parent Friendly Stays. So, how does it measure up to my expectations of what makes the perfect family hotel? The very first tick comes from having its own swimming pool open from 7am until 10pm. That could easily entertain the whole family for a few hours a day if the weather isn’t playing ball. There’s also a sauna, hot tub and gym for mums and dads – the only argument would be over who took the first shift with the kids! Something else that puts a smile on my face is that there’s absolutely loads to do close to the Isle of Glencoe Hotel. Next door is Loch Leven and the Action Glen activity centre, which offers kayaking, paddle boarding, mountain biking and archery. Local attractions include Oban Sea Life Centre and distillery, the Natural History Museum on Ardnamurchan, Loch Ness and Urquhart Castle. 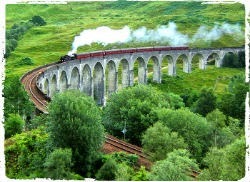 And who could resist a ride on the route of the Hogwarts Express from Fort William to Mallaig? Tin Box Dog’s tail is wagging too as The Isles of Glencoe Hotel welcomes pets. Well behaved pooches can stay in your room with you and are allowed in all public areas with the exception of the bar and restaurant. Having a lake and the Scottish mountains right outside is also TBD’s dream. 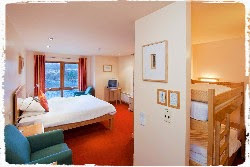 From checking out the Isle of Glencoe Hotel’s website it certainly sounds like a great place for families to stay. There’s a family dining room and the pictures of its bedrooms show that they have really thought about family sleeping arrangements. As for the service, there’s only one way to know for sure and we hope that they’ll consider having us for a visit sometime soon. 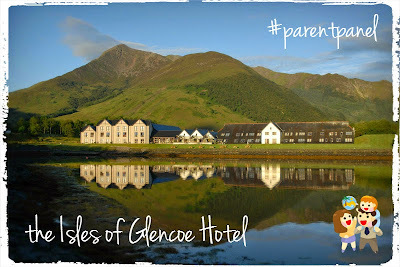 Disclaimer: This is my #parentpanel blog entry to win a stay at the Isles of Glencoe Hotel with Parent Friendly Stays.